The restaurant has been suitably decorated for the festival. All the wait staff were dressed in the traditional Rajasthani attires. 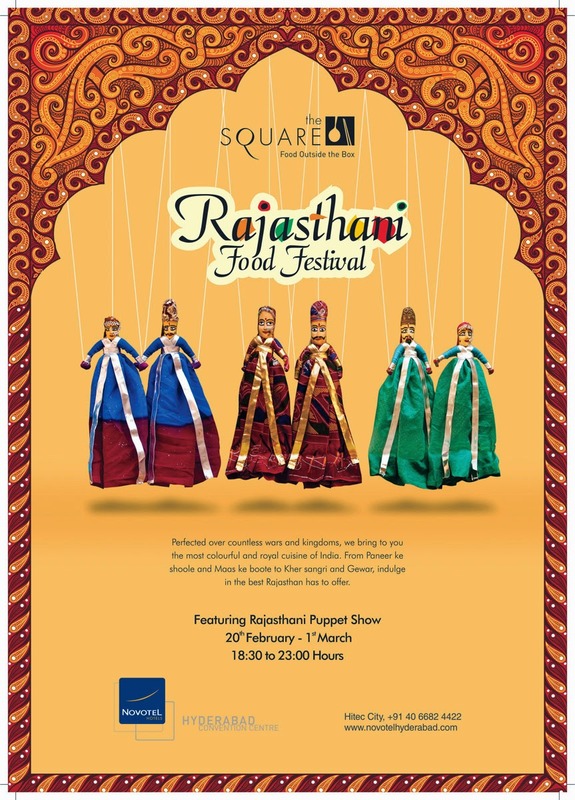 Rajasthani puppet dance has been organized in the al fresco area for the guests to get a slice of Rajasthani culture too. Close to the puppet show a live counter has been laid out serving the traditional Rajasthani snacks. We tried the Pyaaz Kachori and the stuffed Rajasthani Bharwa Mirch. The fillings inside the large mirch were extremely tasty. 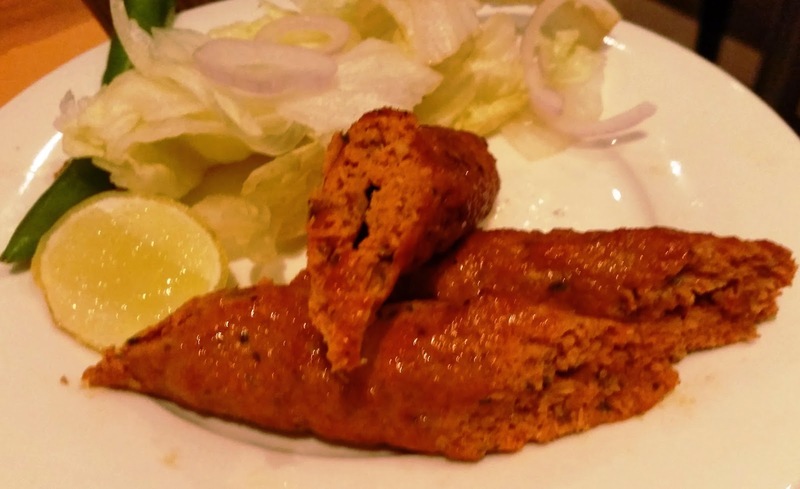 Among the non-veg starters the pick was easily the Chittaur Seekh – a tender and succulent mutton kabab which melts in your mouth. Chilla is a besan based delicacy of Rajasthan – which looks like the South Indian dosa. Here the chef had prepared a dry fruit version of the chilla which tasted divine with the accompanying chutney. After a shot at the snacks we got cracking at the main buffet. 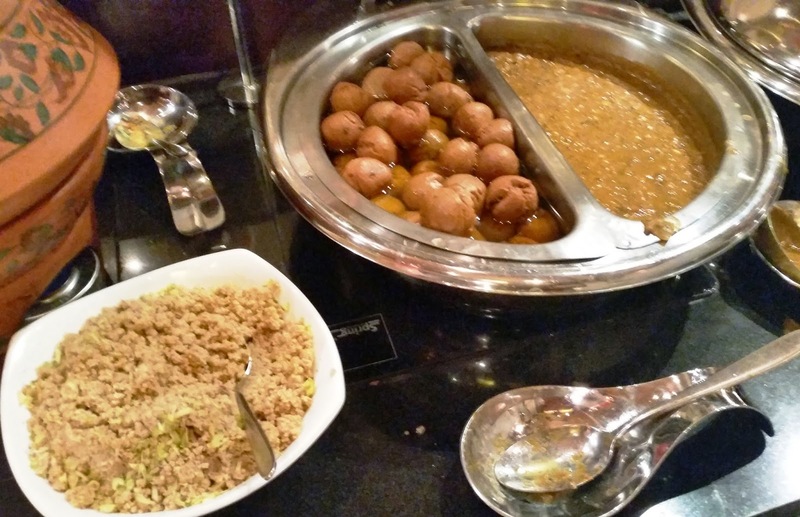 No Rajasthani food spread is complete without Dal Baati Churma. The baatis were immersed in ghee, and the spicy dal and delicate churma were the perfect foil for it. Ker Sangri is another popular dish in Marwar due to the fact that these vegetables grow unattended in the desert areas. I had tried many versions of this during my multiple trips to Rajasthan, and today’s preparation matched the best that I had there. One of the more spicy dishes, it went very well with the Jowar Rotis. Aloo Haldi Ki Sabji was another typical Rajasthani dish. 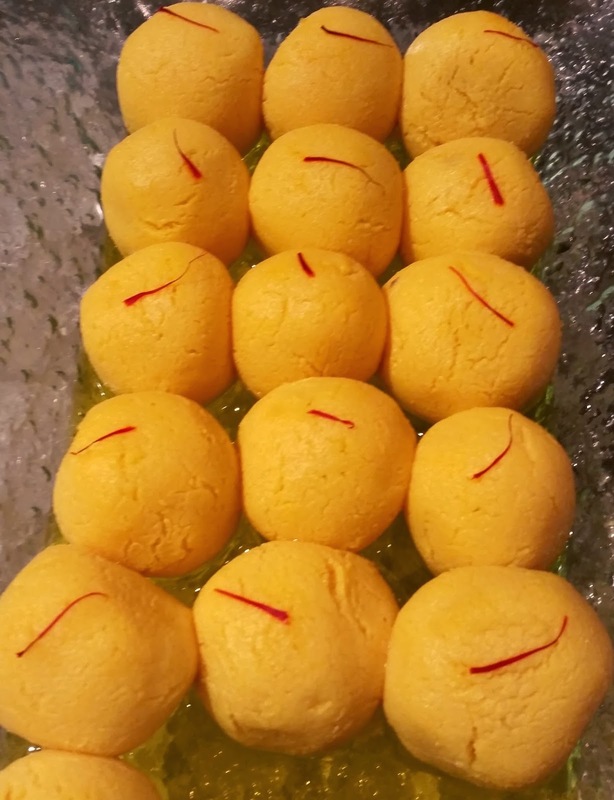 Raw turmeric is used in preparing this giving it a strong haldi flavor. There was the Rajasthani version of matar paneer (Paneer Matar Rassa) with a very tasty curry. Other dishes of note were the Jodhpuri Bhari Bhindi (stuffed bhindi), Gatte ki sabji and Rajasthani Kadi. The non-vegetarian portion of the buffet had the signature dish Laal Maas. It is a spicy mutton dish prepared with a lot of red chilies in a base of onion and garlic. The mutton was soft and the gravy tasted nice though I would have loved it to be a bit spicier. 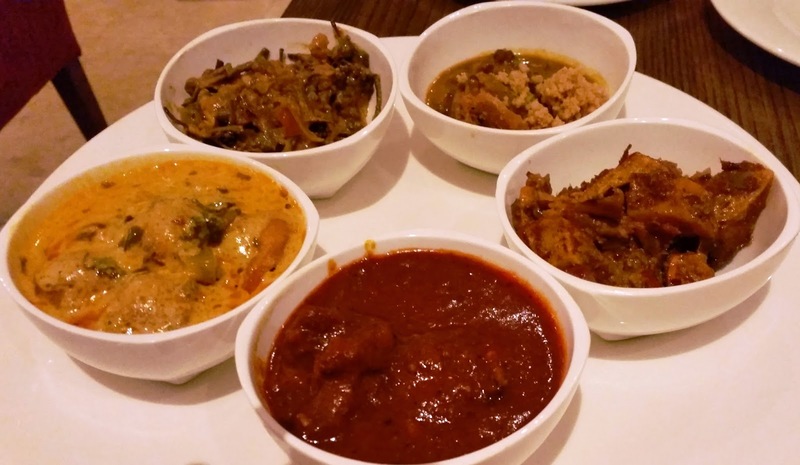 As a Bengali I am often accused of being biased towards fish – but I loved the rich gravy of Macchi Mewari. It had a strong flavor of mustard and I was told that many Mewari dishes are cooked in mustard oil. 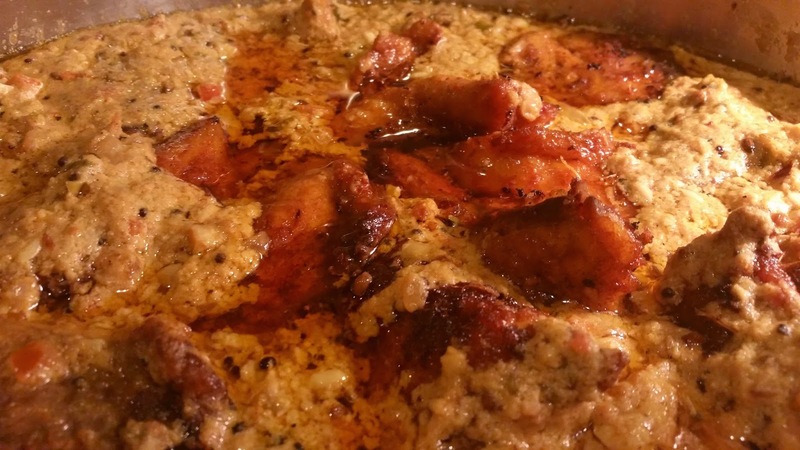 Jangli Kukar was a chicken based gravy dish. The mutton based Rajputana Maas Pulao tasted nice, but the rice in the pulao was slightly more dry than I was comfortable with. 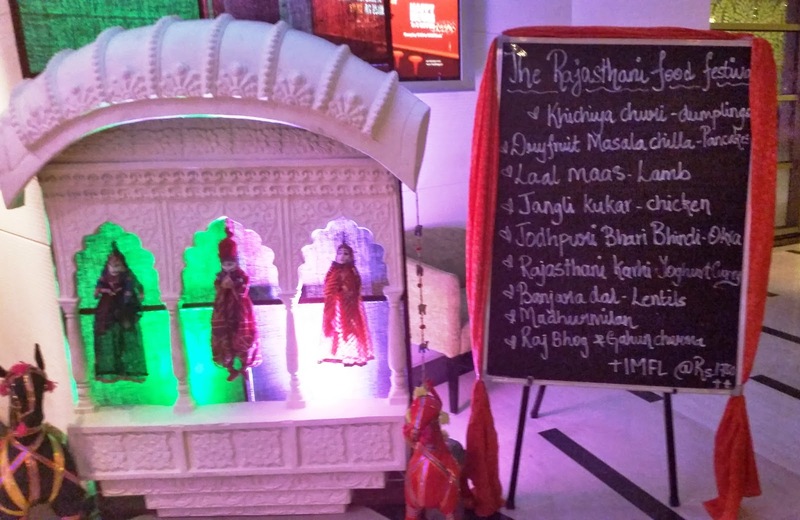 No Rajasthani buffet is complete without its mouth watering desserts, and this was no exception. 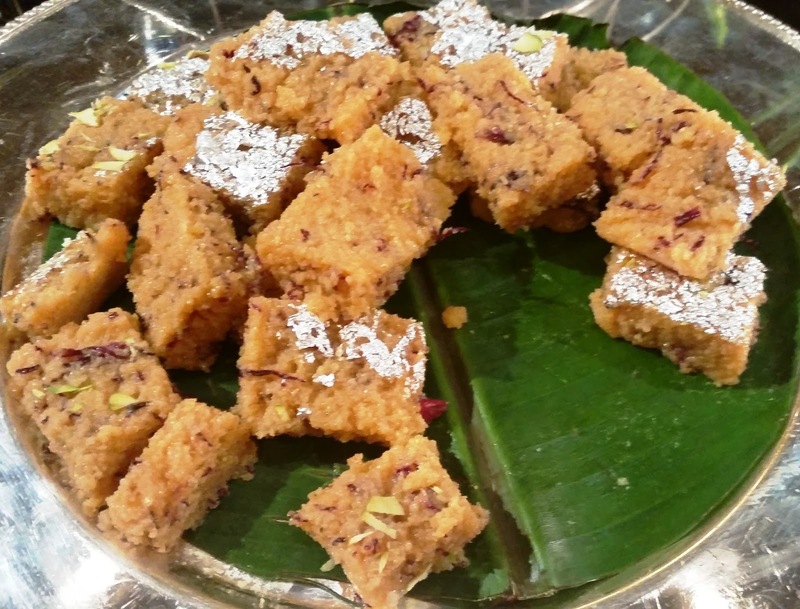 Gulabi Kalakand, the rose flavored chhena sweet was easily the best. The yellow Rajbhogs were solid and flavorful, and the Carrot Halwa was lip smacking too. 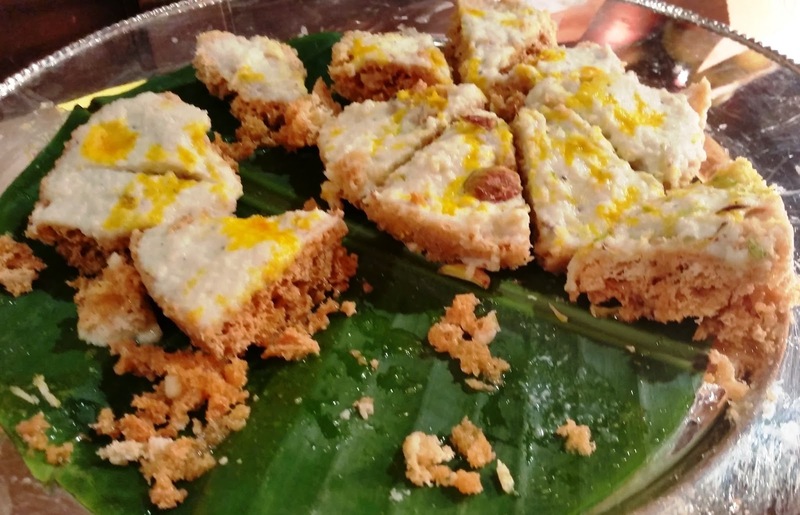 The Malai Ghewar was another sweet which worked very well with us. The famed sweet is very popular during the festival of Teej, Unfortunately we reached too late to see the ghewar in full bloom, which is a delight to the eyes. We ended our food journey here with dollops of rabri on hot jalebis at the live counter. 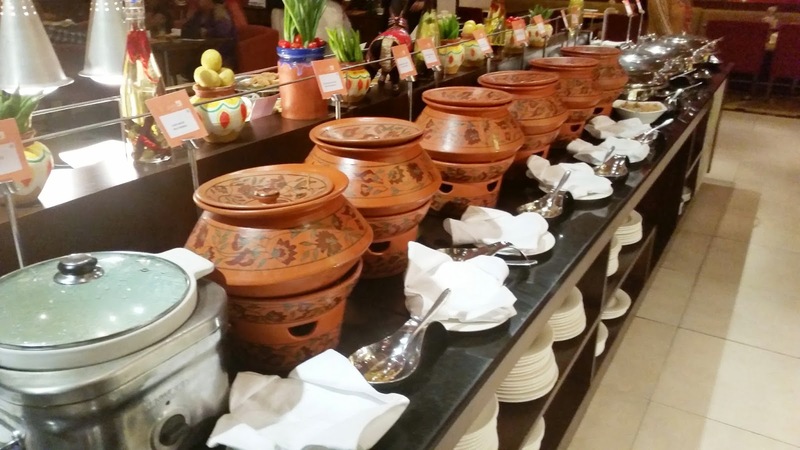 The festival has been planned by Novotel with Chef Mujeebur Rahman, an expert in North Indian cuisine. It was great to meet the Chef after a year, I had gone for his niche Rampuri food festival last year. Executive Chef Muthukumar and Senior Sous Chef Saurav were at hand to patiently explain about the festival and the nuances of Rajasthani food. The festival is on till March 1st. 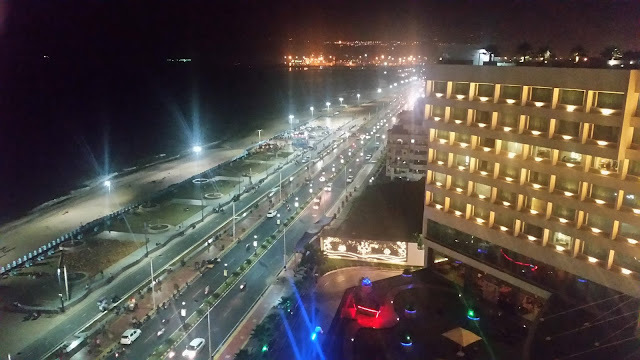 Novotel says: “Padharo Mhare Fest”. Wow...... Yummy!!! Raj hog is one of my favourite sweets! !